I am not much of a pie person, to tell the truth. The only kind I like are berry pies and I have never attempted one. Preheat the oven to 425. Let the pie crusts warm up while the oven is heating up. Mix the sugar and cornstarch and toss the berries to coat them. Allow to sit for a little while (up to 20 min) then cut slits in top and place in oven on foil-covered sheet for spills. After 20 min, turn oven to 375 and cover edges of crust with tin foil. Allow to bake for 25-35 more minutes or until filling is boiling through. Let cool a long time before cutting. It is pretty and tangy and not runny! And fairly easy! 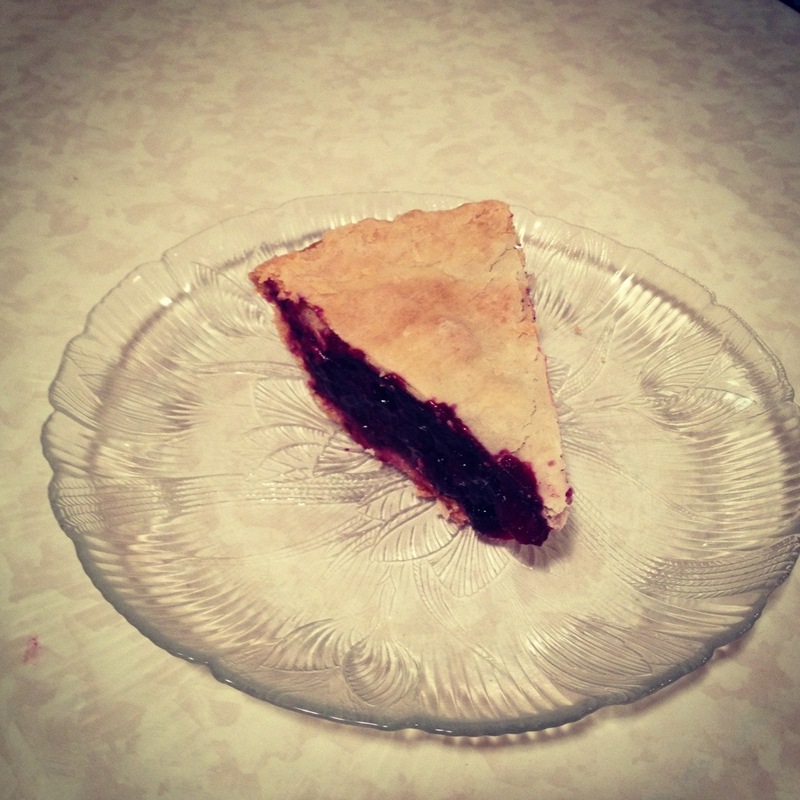 This entry was posted in Cooking, Miscellaneous and tagged Baked goods, mixed berry pie. Bookmark the permalink. FYI I am pretty sure you have to use cranberries for the pectin.I tried with regular berries and it didn’t gel nearly as well!